The CAE Galatina Single Lever Vanity Faucet is a beautiful option for any bathroom or kitchen. These vanity faucets are ideal for multiple applications. 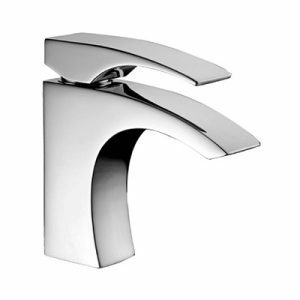 Made with a single handle, this faucet has a classic look. These kitchen and bathroom faucets are manufactured by CAE and made to last. Whether you’re looking for the perfect faucets for the bathroom or kitchen in either your home or office, you’ll love the Galatina Single Layer Vanity Faucet by CAE. And since these faucets are manufactured by CAE, you can rest easy in knowing that they were made to last. These faucets are made with a single handle, and they provide a classic, traditional look for your home or business that will never go out of style. Order your CAE Single Lever Vanity faucet in Barbados with Fiberpol today.